Few weeks ago my mom was planning to make a veggie lasagna with pumpkin as saturdays’ lunch and it turned out that I was the one to prepare it because she was helping my dad & brother with renovation stuff. As I was preparing the lasagna I also felt like having lasagna for lunch, so I kept some of the veggie filling and made my own raw version. 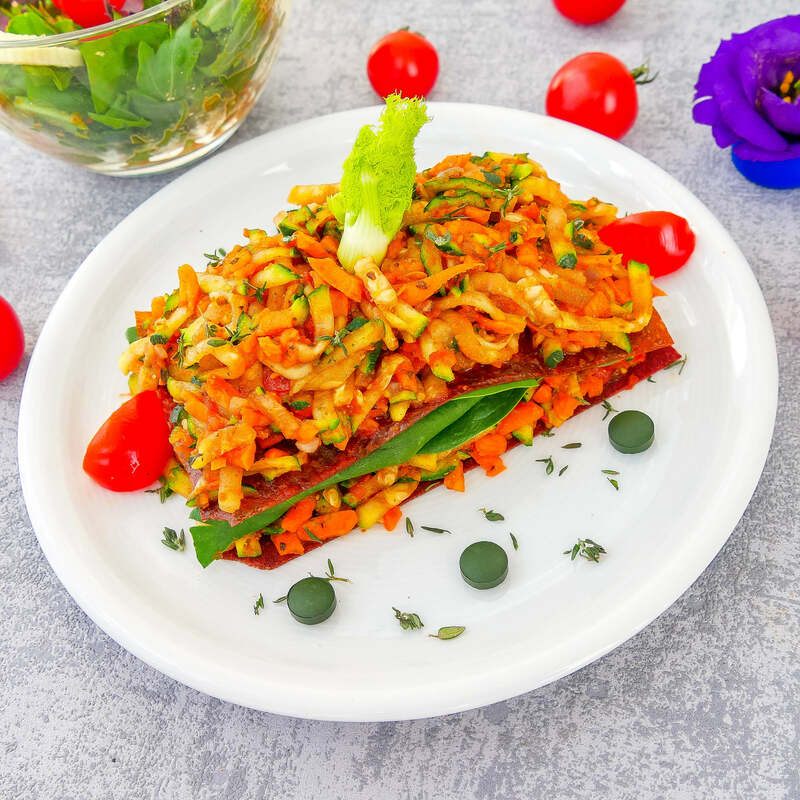 So if you’d like to make the cooked version, you just have to mix up the shredded veggies with tomato sauce and herbs and layer it in between your preferred lasagna sheets. And for the cooked version I also whisked up tahini with water and drizzled it on top. For the filling shred zucchini, carrot and pumpkin and toss with chopped tomatoes and thyme. 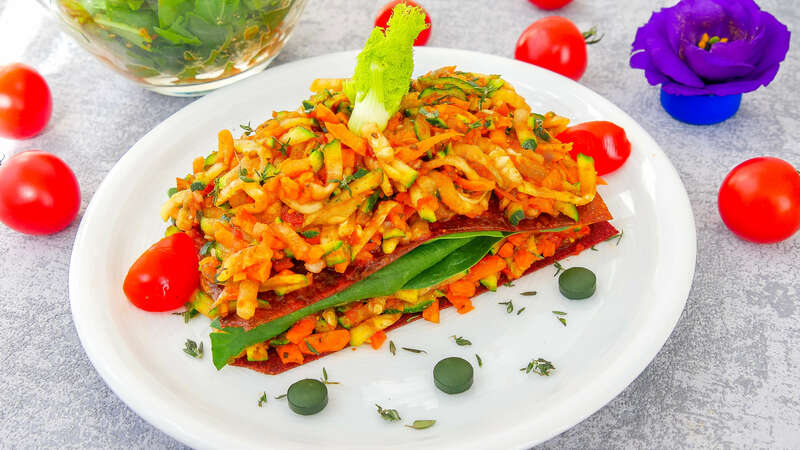 Place a fruitleather rectangle on a plate cover it with the veggie mix and top it off with some spinach leaves. Add another fruitleather veggie layer and sprinkle the lasagna with fresh thyme.